All of the below information comes directly from job reviews written by Mediaplanet employees based on 6 reviews. Show your personality. You can be trained on the job, but your personality will make you ultimately succeed. Only apply for the job if you feel you can make decisions by yourself and really take ownership of a project. At any one point there are 20 projects running in the London office, so you need to be fully in control of yours and not rely on other people! Don't be afraid to ring the office and ask to see previous campaigns we have run - people are very friendly and it's the best way to find out more about the role you will be undertaking. Expect to have a lot to do at any one time (but you're never bored)! Commercial awareness is key - the ability to see within a very niche topic (e.g. Digestive Health or Cyber Security) where you could source investment. Understand the concept of content marketing - it's textbook. Expect to learn, and go after it. If you want to have a lot of say in what you do at work then this is the job and role for you. Want it and show the interview team that you do. Be hungry for pogression and for making your first sale! The experince you gain and the exposure to the marketing industry is priceless. 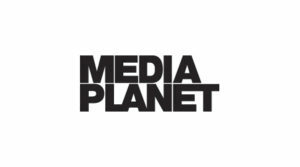 You will not regret, apply to work at media planet, trust me. Be driven, be well researched, have a long term goal and show that you are a great team player that can also work independently (self mangement). Take a look at the campaigns we publish, and research our websites where the content is uploaded too. This will give you a strong idea as to the breadth of topics we cover and style of our work. Be yourself! The environment lets you find your own way of doing things with guidance from people who have been there and done it. Come ready to chat - The job is all about communication and enthusiasm and if you can relay that in your interview then you're certainly onto a winner!